I’ve traveled through several online worlds and have experience with many virtual worlds, MMOG’s, etc. Each online space has their plusses and minuses. In my years of “traveling” I’ve never seen anything as robust, creative and open-ended as Second Life. While I’m always surprised by the complaints that are made about Second Life, some legitimate others are mindless, I never understood it. Many people make it sound easy to build a virtual world, but everyone is learning that’s not the case. 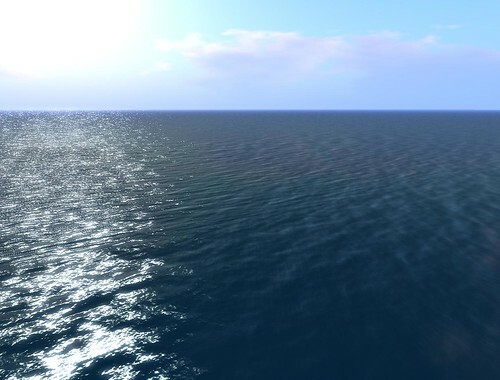 While many people complain about Linden Lab’s management of a virtual world; there isn’t much competition in their space mainly because of the difficulty of creating and maintaining a robust, integrated virtual world with mass appeal. Sony has been learning that lesson along with their recent delay of PlayStation Home, a virtual world more akin to There.com than Second Life. Every since MySpace, social networks have begun to spring up overnight. Many of them to connect with your friends in different ways. An interesting trend has been the creation of social networks for MMO’s and Virtual Worlds. Many people have fallen in love with Facebook, it is a cleaner, more personalized way to communicate with others through a Social Network platform (even though there are major privacy concerns.) There is a strong Second Life community on Facebook but it has a policy for closing profiles of people who are not real identities. While Facebook and MySpace are great ways to communicate with your virtual friends, there are other virtual world social networks that all attempt to connect people through virtual means. Here’s a list of a few with pro’s and con’s for each one. An interesting set of circumstances are happening concerning the Linden Lab branding policy of their own product. There still remains some confusion about how to use the Second Life trademark on blogs. Some people have begun to place trademark symbols behind the phrase “Second Life”(tm), others have changed logos completely. The issue has raised many eyebrows and even has started a three day blog strike with the goal of Linden Lab clarifying the practice for blogger’s. While I understand there may be confusion, and my position of this strike is, surprisingly, one that I’m in agreement with Prokofy Neva (for several reasons including the legal ones that Benjamin Duranske points out), I also feel that it’s hastily and will not prove successful in its result. The National Youth Leadership Council and Learn and Serve America, there are online streaming sessions from the National Service-Learning Conference, happening live in Minneapolis, this week. 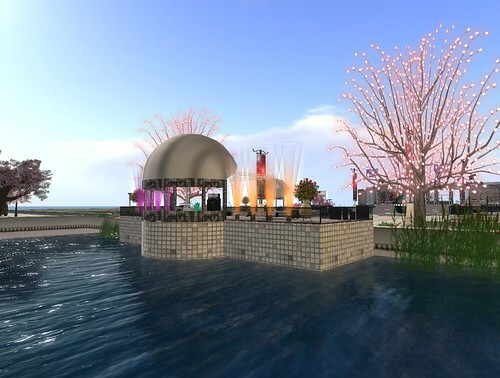 Sessions on Friday include: Nobel Laureate Desmond Tutu from 7:00 am to 8:30 am SLT; as well as a Featured Forum with him from 8:45 – 10:15 am; 12:30 – 2 pm a Global Kids workshop; and from 2:15 – 3:45 pm SLT Youth in Media Featured Forum. On the main grid, drop into Teaching Island at: Teaching 117, 120, 22. If you have trouble finding it, IM Rhiannon Chatnoir. For more info on the conference, see: www.nylc.org. For more info on service-learning, see: www.servicelearning.org. For more info on funding for young people who want to get involved with service-learning see: www.learnandserve.gov or IM me at: Veri Oddfellow or EM me at: BLewis@cns.gov. Does the Second Life 1.20 RC Break Content? I received a message from a good friend of mine last night about the new 1.20 Release Client, and how it breaks scripted content. The concern is that the 1.20 Release Client interrupts the Combat:Samurai Island (or C:SI) dash system due to the new implementation running; you can now run by using a “double-taping” (which really not a double tap motion as described later.) I always have my ears perked when a Linden Lab does something different to affect content (such as Havok 4), but I also wanted to accurately report the issue because of my affiliation to Samurai Island. Also, as a content creator, and a scripter, its nice to know what changes. Last night I tested the new run function to see if it works (and it does) and today, I bought the Musashi Eternal V4.1 (a part of the C:SI combat system) to see if the dash feature is really broken. I’ve concluded that the new dash feature is NOT broken. Last week there was a congressional hearing on “Online Virtual Worlds: Applications and Avatars in a User-Generated Medium.”, the four people whom testified at the hearing included Phillip Rosedale, Susan Trenby, Dr. Larry Johnson, and Colin J. Parris. While this bit of news, isn’t new, the Daily Show’s take is which points out a few things from the clip. If you owned a domain name, had a product or recently applied for a trademark with "Second Life" in it, you may have to change it. A week ago, Linden Lab announced a new trademark policy under the guise of the Second Life Brand Center and clarified some questions concerning the policy yesterday. Great for them! Taking care of their trademark and copyrights not only helps Linden Lab police their product (especially with competing products beginning to appear), but it helps police some other disputes concerning Second Life, including the SLART trademark dispute. I usually don’t comment on these sorts of topics, but for the sake of this discussion it is a great example of how the new trademark policy helps the community as a whole and a lesson about how to avoid being trapped by such policies.